Over the past year or so we’ve spent a lot of time talking about water on this show. From the dual harmful algal blooms that have impacted southwest Florida from Lake Okeechobee to miles offshore, to coral diseases and microplastics in the water, the sunshine state faces many challenges when it comes to water, both fresh and salt. 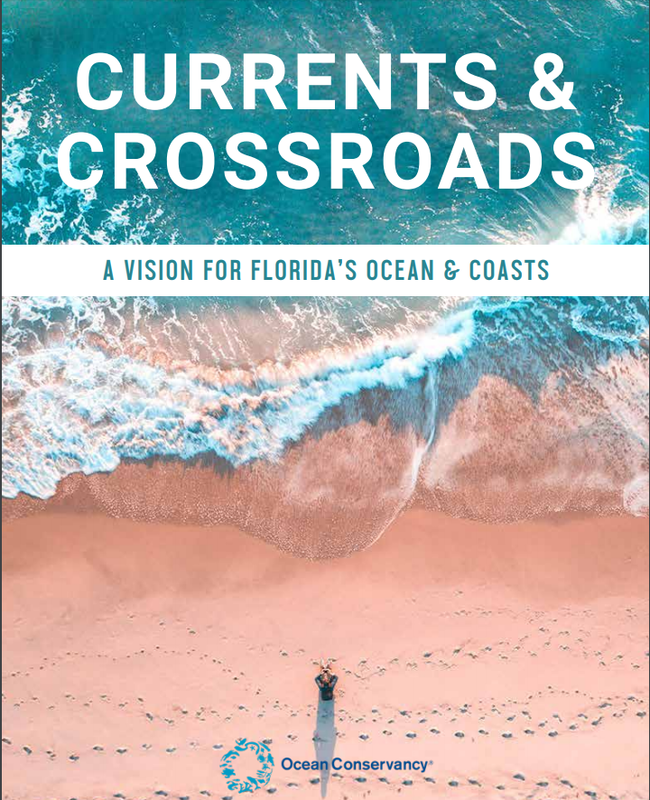 On this show we explore a new report produced by the Ocean Conservancy called “Currents and Crossroads: A Vision for Florida’s Ocean and Coasts” which identifies the nine most urgent threats facing Florida’s coasts and oceans, including things like harmful algal blooms, sea level rise, ocean acidification, and pollution. It also explores not just the problems, but proposes how best to confront these threats. We're joined J.P. Brooker, he is Policy Counsel for the Ocean Conservancy’s Fish Conservation program, and general Florida representative for the organization.